Full casting was announced today for the major new production of C.S Lewis’s The Lion, The Witch and The Wardrobe at West Yorkshire Playhouse this Christmas. The co-production with West Yorkshire Playhouse, Elliott & Harper Productions and Catherine Schreiber will be directed and devised by Sally Cookson and the company, taking audiences through the wardrobe into the mystical world of Narnia from 29 November 2017 – 21 January 2018. The multi-talented performers making up the exceptional cast include physical theatre artists, musicians and circus performers. Working with such an outstanding ensemble, Cookson’s inimitable style and unique method of devising theatre will breathe new life into C.S Lewis’ treasured tale of adventure. Peter Caulfield will play the loveable Fawn, Mr Tumnus. His extensive credits in theatre and television include BBC1’s Doctor Who, Channel 4’s Cucumber, and King Herod in the Olivier award-winning production of Jesus Christ Superstar at Regent’s Park Open Air Theatre. Joining him are Iain Johnstone as the great lion Aslan and CITV’s My Parents Are Aliens actress Carla Mendonça as the White Witch. The Pevensie children will be played by Michael Jean-Marain as Peter, John Leader as Edmund, Patricia Allison as Susan and Cora Kirk as Lucy. 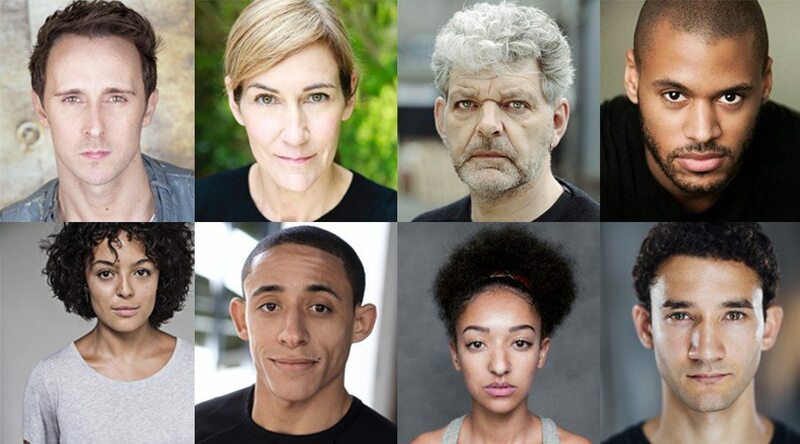 Lucy Tuck (Beryl, New Vic Theatre) will play Mrs Beaver, comedian and writer Alan Francis (War Horse, National Theatre/New London Theatre) will play Mr Beaver and wolf Maugrim will be played by Northern School of Contemporary Dance trained Ira Mandela Siobhan (Mosquitoes, National Theatre). The cast is completed by Amalia Vitale, Helena Parke, Sofie Lybäck, Tom Wainwright, Anwar Russell, Gareth Aled and Marie Hamilton. The Lion, The Witch and The Wardrobe tells of four war time evacuees, whose venture through an old wardrobe sets them on a courageous journey to save the mystical world of Narnia from the evil White Witch. Award winning War Horse designer Rae Smith will transform the Quarry stage into a theatre in the round for the first time. Joining Sally and Rae on the creative team for The Lion, The Witch and The Wardrobe are Leeds born Adam Peck as Writer in the Room, Ian Dickinson as Sound Designer, Dan Canham as Movement Director, Bruno Poet as Lighting Designer, Composer and Musical Director Benji Bower, Craig Leo as Puppetry Director, Gwen Hales as Aerial Director, Tom Paris as Design Associate, Associate Director Sarah Fielding and Jill Green as Casting Director.